Find free credit cards and cards which pay you for your custom, earn as you spend! 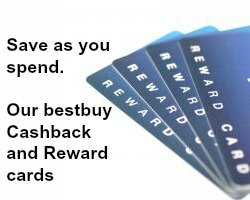 Reward credit cards are those which offer Cashback (a small percentage of what you spend is 'saved' up and paid back to you periodically) or offer Rewards - normally in the form of vouchers to spend in shops. As interest rates have reduced over the past few years, credit card companies have cut the rewards customers receive, but there are signs that the market is starting to revive. If you are a lighter user, you might find that a card promoted by a supermarket or store group is more attractive - the John Lewis / Waitrose card is a good example where the reward can be worth more than 0.5%, if you shop in one of their stores. Tesco credit cards offer Clubcard points which can be exchanged for rewards. Some of the best 'cashback' cards are those which charge, so do watch out for any fees - you can quickly find that any benefit is totally eaten up by the charges. These cards tend to require a strong credit history so consider running a credit card check using a service such as Credit Expert if you are uncertain as to whether you will qualify. This service is subject to a monthly fee, but allows a 30 day trial period first during which a credit check can be run free of charge.